The innovative grocery store with no checkout line was called Amazon Go. But it wasn’t a new idea: some 15 years ago the German Metro Group, one of the world’s largest retailers, experimented with something called the Future Store, where radio frequencies and electromagnetic fields were applied to identify and track the tags attached to products. The concept was never commercialized. 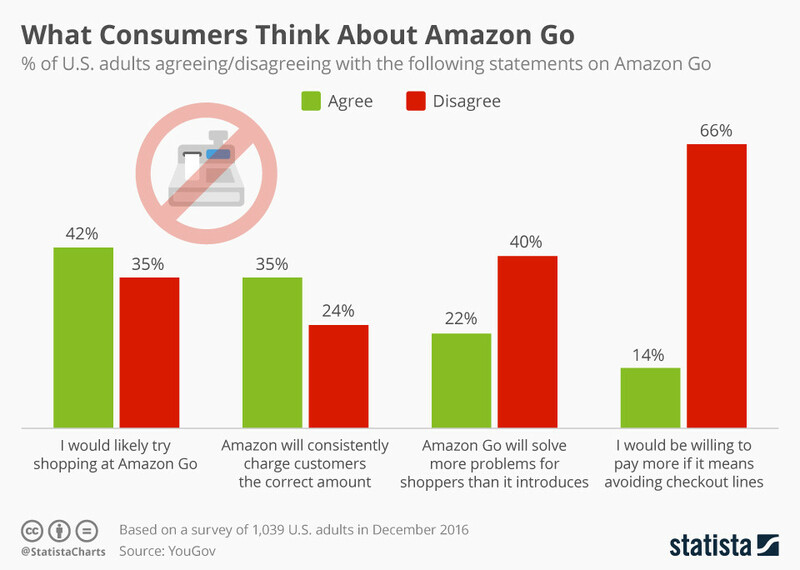 Fast-forward to today, and Amazon Go uses sensor fusion, historic customer data and artificial intelligence; it connects to customer accounts via an app on their mobile phones. One thing that a digital store doesn’t do, however, is deliver products quickly. The solution here is in the scaling: delivery on the same day, or even within hours or minutes, becomes easier in a close network of stores and distribution centres. The denser the network, the shorter the distance to the customer, and the faster the goods arrive. This is where more stores and the use of drone delivery, reportedly just around the corner, could speed things up. Amazon, for example, has filed a patent for 3D printing within mobile manufacturing units. This concept of a moving factory or a moving manufacturing store would mean more flexibility, less stock and more tailored manufactured products for end consumers. In store, 3D printers can be used to produce made-to-order goods or offer 3D printing as a service. Customers pay with smartphones – no checkout line, of course. On the other side of the world, another tech revolution is taking place. In China, the commerce platform ULE is transforming stores into hundreds of thousands of hubs for e-commerce business.